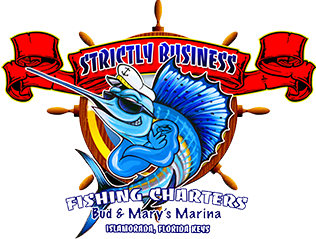 Strictly Business Fishing Charters invites you to join us for a fun day of deep sea or inshore fishing aboard one of our fully equipped vessels leaving out of beautiful Biloxi, Mississippi which has the reputation of being an awesome fishery. Here in Biloxi, you will find World Class Casinos, Upscale Hotels, and needless to say first class restaurants. Everything is provided (including fishing license) except your food and drinks. With a heads up we can handle this for you too. For groups who are interested, we do crawfish/shrimp boils and fish frys. Proper planning is a must so please plan in advance for catering services. Our experienced captains will personally assist you throughout the fishing trip and clean and bag your fish. Please bring a cooler. We specialize in shark fishing, light tackle for speckled trout and flounder, bait trolling for king mackerel and redfish, and bottom fishing for red snapper, grouper, amberjack, and cobia -- just to name a few. Our booking service will secure your charter reservation by E-mail or Phone ( 228-392-4047). A $200 deposit in the form of check, money order, or credit card (Visa or Mastercard) must be received within 10 days to hold your reservation (mailing address below). Our booking service will reply in a timely fashion. We will let you know if the date you are interested in is available. Thanks for your inquiry. Please confirm early to insure that you book the dates requested.